Being born into a family of grand masters that stretches back centuries meant Ustad Amjad Ali Khan was connected to music from a very young age. 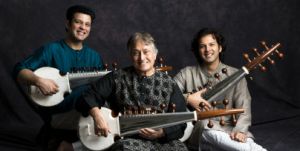 The strong roots, combined with a natural talent, enabled the sarod maestro to flourish into a musical giant who has left a permanent mark in Indian classical music. Perhaps the greatest aspect of the 73-year-old’s incredible career has been performing live internationally, which he has been doing since 1963. Fifty six years later, he is still going strong on the world stage and returns to the Royal Festival Hall in London on April 30 for another live performance, with his talented sons Amaan Ali Bangash and Ayaan Ali Bangash. Eastern Eye caught up with one of the world’s greatest live artists to talk about his journey, forthcoming concerts and the magic of music. Tell us, how do you look back on your journey? I am grateful to god for his mercy. From my childhood, I was encouraged from every corner and region of India. Every Indian nurtured me to become whatever I am today. 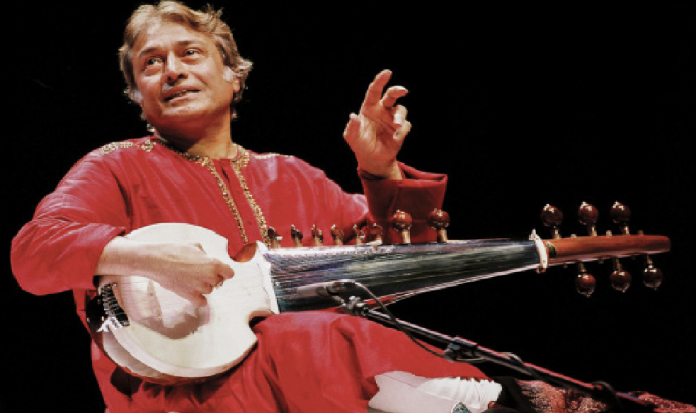 India has made Amjad Ali Khan. I got a chance because of my father Ustad Hafiz Ali Khan, who was my guru. I could meet a lot of his contemporary musicians and spend time with them. Yes, they are 12 musicians with whom I first had my equation. Because of them, Indian classical music became popular. They include Pandit Ravi Shankar, Ustad Bismillah Khan, Ustad Vilayat Khan and many more greats. Tell us about your early musical connection? In India, we have so many different institutions of music. I was an unexpected child in my family because my father was very old when I was born. But I realised my responsibility very early on to carry forward the musical legacy of my family. So I could not enjoy my childhood and the freedom associated with it. I completely missed out. I became a responsible boy right from the age of 12 and was performing at festivals then. Yes, that was in 1963. A group of musicians went from India to America. So, for two months, I was travelling and performing all over the US. The international journey began after that. How much has performing live enriched your journey? I think a live concert is the real test for any artist. Performing in front of thousands enriches you. In India, every region is not culturally inclined, so being able to perform internationally has been a blessing. The western world has a much bigger meaning of the word artist, especially for classical musicians. Now I am coming to London after two years. The last time was a sell-out concert at the Royal Festival Hall and it was very inspiring to see the involvement of the audience. I have also done a lot of residencies abroad, including at York University and received a doctorate from them. Tell us, how do you compare the UK audiences to others? Scottish Chamber Orchestra once asked me to write a composition for them, so I went to Edinburgh and a different journey began. I composed the piece Samaagam, which means a confluence of two cultures. Many orchestras since have played the piece, including in New York. How much are you looking forward to performing at the Royal Festival Hall again? I am really looking forward to performing there because it is a beautiful venue and we played a sell-out show there last time, which was inspirational and so encouraging. I really enjoy the acoustics and tonal quality of the Royal Festival Hall and Carnegie Hall in New York. The western world has given so much attention to the acoustics of the hall. In our country, we perform in all kinds of circumstances and, like I said, our priorities are different from music, art and culture. What can we expect from your upcoming concert? will perform a duet and then all three of us play together. How much of the performance is improvised? You know, improvisation is nothing great and even children can improvise. Jazz musicians do it all the time and use all 12 musical notes, but we don’t enjoy that kind of freedom. Our improvisations are within the set rules of ascending and descending. We do have pre-composed pieces and actually decide on the day of the performance what to play. Like a western classical orchestra, everybody has to play it the way it is composed. Just like an orchestra will rehearse beforehand to perfect the pieces. How is it when you perform with an orchestra? When I am with an orchestra I have to do a lot of rehearsals. Next month we are performing with the Symphony Orchestra in New Jersey and have several shows in New York. Ultimately, people want to see how we can communicate through music. Music, I feel, is a connecting force that brings the world closer together. Unfortunately, language creates the barrier. In my family, we feel connected with every soul, religion and song of the world. I can’t imagine, in the 21st century, people are still killing each other on the count of religion. This makes me feel very sad. How does it feel being on stage with your two sons, who are great maestros? By the grace of god, they are very responsible. Amaan is my elder son and Ayaan is two years younger. Ayaan has twin boys, who are the greatest attraction of our lives. They are six years old and play small sarods now and are showing interest towards music. It is like a spiritual experience because music is in our DNA. Anyone can become a musician, but when a person is born into a family of musicians, sometimes that DNA creates magic for the world. 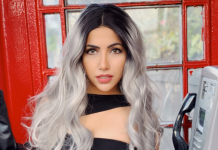 I am grateful to god that Amaan and Ayaan have been accepted by the world, and they are very committed, compassionate, kind human beings who work really hard. Tell us, what advice would you give young aspiring musicians? Discipline is the most important. There are too many people, who after becoming famous and popular lose their heads, and become arrogant. Their whole attitude changes, they become irresponsible and a liability for society. So, it is important to maintain discipline and realise it is a long journey. I often tell my disciples and children that it should almost be like an elephant walk, in that you have to walk with dignity and grace. What key lessons did your legendary father Hafiz Ali Khan impart to you? My father often told me that all of us have a single god and we are a common race because we come and go in the world, in the same way. People have given different names to god. Sadly, the politics of every country is now based on religion, which is unfortunate. But music is a precious gift from god and doesn’t belong to anybody. Music is like flowers, air, water, fire, fragrance and colours. The slides and glides of Indian music are very appealing, spiritual and sacred. From childhood, I wanted to sing through my sarod because it is a difficult instrument. In our music, there is a lot of spirituality and I feel music connects you to god. What are your passions away from music? I write. After this Samaagam symphony, I have just completed another symphony for an orchestra, which I would like to call Journey Of Love. The ecstasy of music. Today, whenever I listen to youngsters I feel they are so talented and very fortunate that they are getting ready-made material from video recordings, CDs, online and so on. In north and south India, there are so many talented young musicians, who are so inspiring. Sometimes I get surprised and inspired through the performances of Amaan and Ayaan also. I think it is just the blessings of god. I strongly believe god, who is referred to as Bhagwan, Allah, Jesus Christ and other names, finally decides your destiny. So I feel connected with the almighty through music. When I am practising music, sometimes I forget what I am doing and feel connected with a supreme power. So music is my medicine. People take different tablets to stay alive, but only music has kept me healthy. If you listen and appreciate music with full concentration, then you will receive all the positive effects of it. So music is food for the mind and body. It’s medicine, intoxication or whatever you call it. Music is my life. Royal Festival Hall in London on April 30.